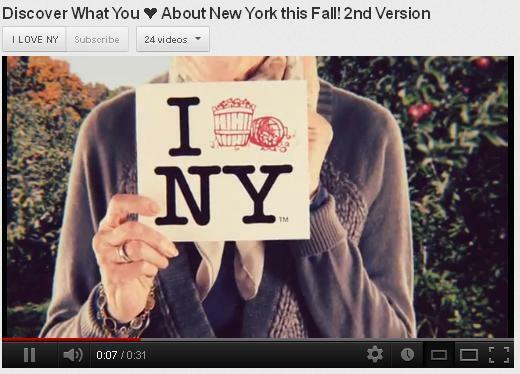 The new fall commercials for New York State Tourism are on heavy rotation these days, continuing the campaign that rejuvenated the iconic "I Love NY" logo over the summer. Those spots featured the shimmering instrumental introduction of Brooklyn band Caveman's song "My Time" as the perfect underpinning for the montage of summer activities . The New York State Division of Marketing, Advertising and Tourism worked with BBDO Advertising to create the footage utilizing submitted sketches depicting different destinations in the state. Caveman gained notice during last year's CMJ Music Festival and I plucked "Thankful" off their album CoCo Beware for my Winter 2012 New Music Playlist. The band became on of my favorites after seeing them conquer the majestic stage of the Opera House at BAM's Crossing Brooklyn Ferry festival in May. (Later that month they played the Brooklyn Museum, which only further endeared them to me as an Art History major.) However, the fall ads do not feature the Caveman song even though it sounds extremely similar. Whether it was the band's decision or not, the new music is a bit too bright, leaden really for the upbeat nature of the campaign. Plus the video versions are no longer allowed to be embedded. 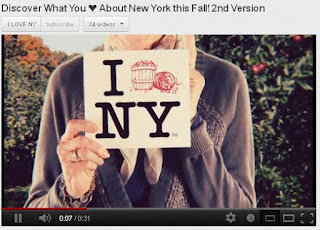 Take a look at a fun summer version below and compare it to the fall commercials on the I Love NY YouTube channel here. Teen Daze Releases New Single "Union"